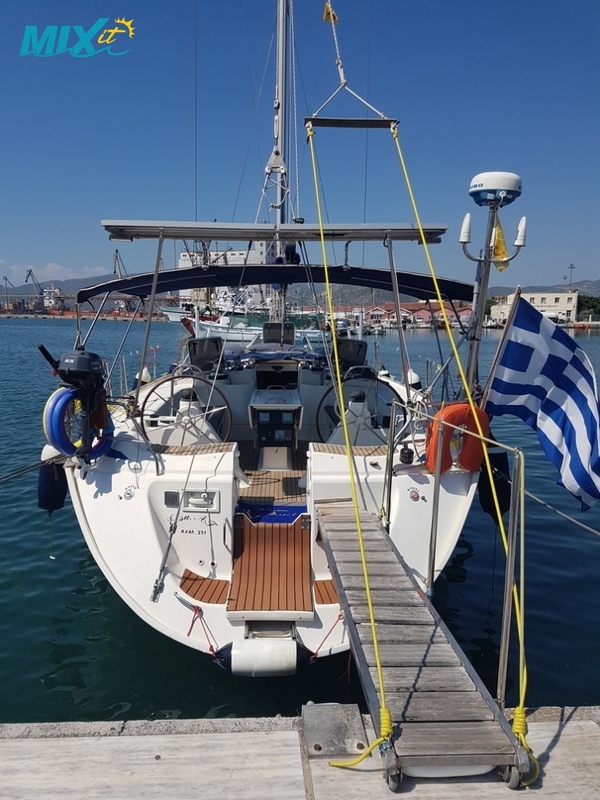 This Bavaria 50 is an excellent example of this classic yacht . 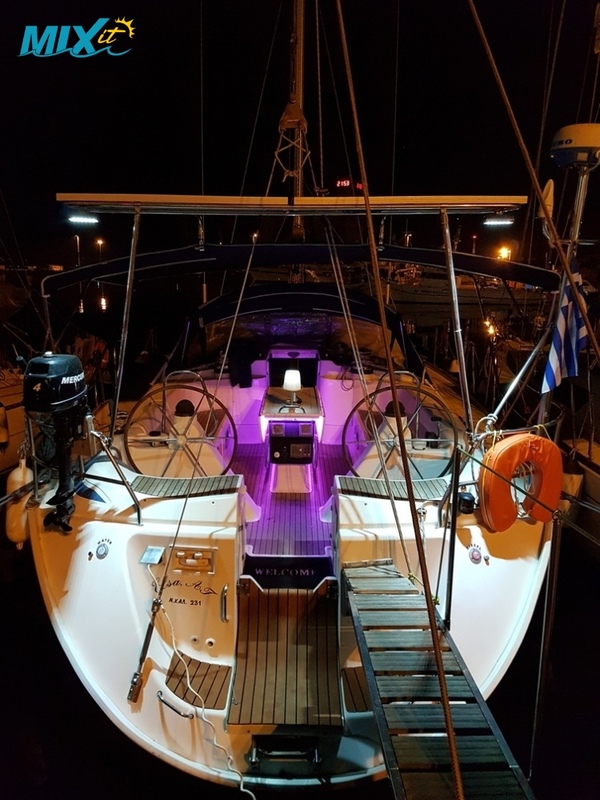 This yacht has a very spacious interior with 5 cabins and can sleep up to 10 persons in comfort. 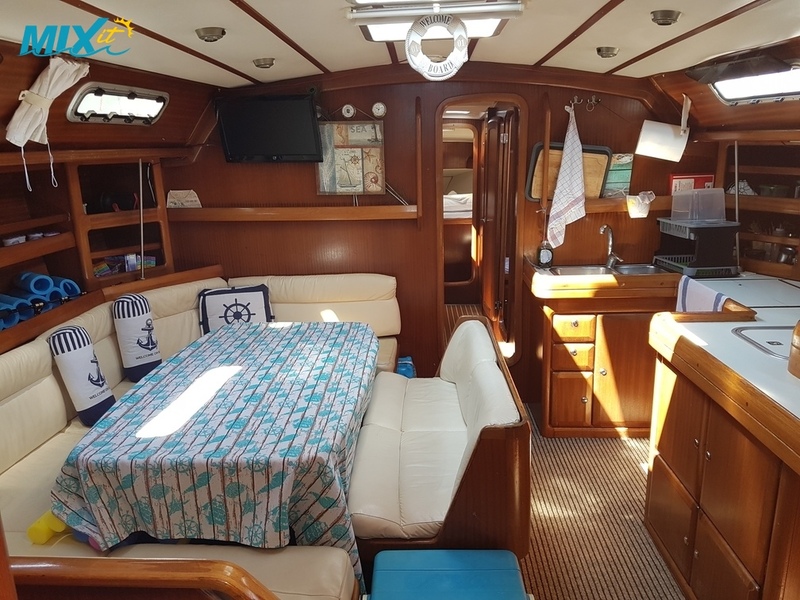 The Saloon/kitchen area is large and bright with fully equipped galley with a large fridge, 2 burner cooker with oven and twin s/s sinks and an excellent navigation area to starboard. 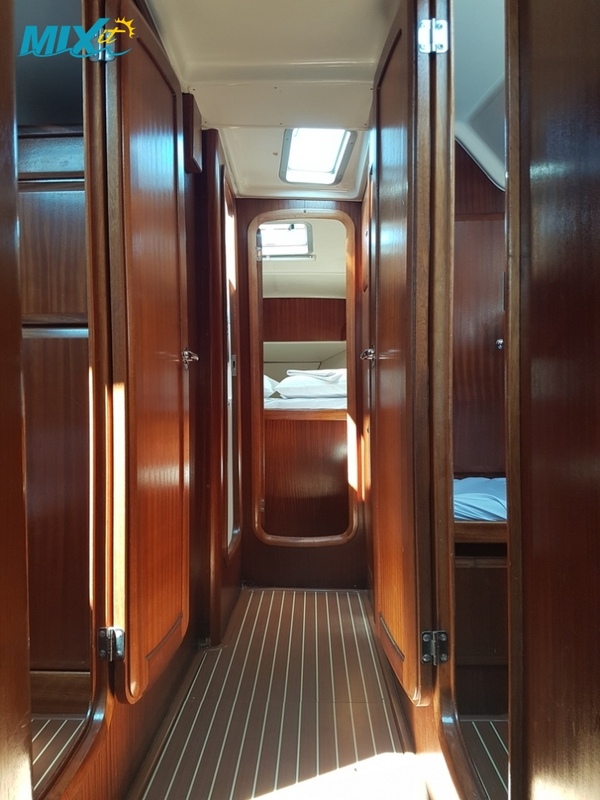 The forward double cabin is luxuriously appointed with an en suite bathroom, the 2 double bunk cabins are located forward with spacious upper & lower berths and to aft you have 2 double cabins and two bathrooms. All cabins have plenty of wardrobe & storage space. The 3 large bathrooms (toilet/shower/basin) are located forward and aft and close to all cabins. The cockpit is spacious and laid out for efficient sail management. 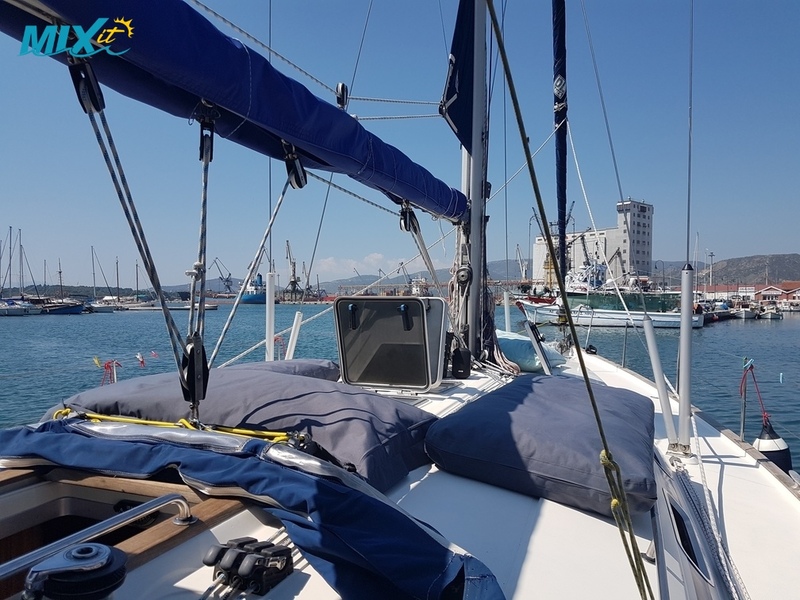 It has furling main and roller Genoa, large bimini top and spray hood. On the stern you have a bathing platform, swimming ladder and deck shower.